At Dental Health Group, everything we do is for our patients — for your smile health and your overall health. We believe everyone deserves to live a comfortable, confident life free from pain and discomfort. Practicing dentistry makes this possible in so many innovative ways. That’s why our Oakland office is proud to offer patients relief from facial and jaw pain thanks to non-surgical Botox therapy. Our team of highly skilled and highly trained dentists understand the intricacies of how your facial muscles and joints work in close connection with your mouth and teeth. We’ve found that Botox offers many extremely useful therapeutic solutions for patients who come to us struggling with symptoms commonly associated with TMJ and bruxism (teeth grinding). Dr. William Yant can easily target sore, painful muscles in and around your jaw, your neck, and your forehead with pinpoint accuracy to deliver Botox relief. This powerful muscle relaxer begins to work immediately reducing soreness, contractions, and overall pain for up to six months after your procedure. Is My TMJ to Blame For My Pain? TMJ disorder or TMD can make life painful, stressful, and downright unbearable. 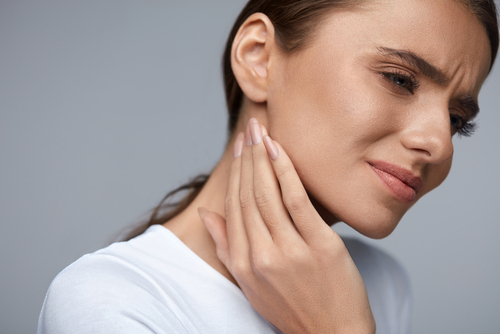 TMJ pain is typically caused by a misaligned bite, but it can also be due to stress. Botox therapy can get rid of your pain and help you to stop clenching, grinding, and further aggravating your overactive muscles. You’ll feel rejuvenated and pain-free thanks to decreased muscle activity, increased muscle tone, and minimized contractions. Botox works well individually or in conjunction with other TMJ treatments such as an oral appliance. Headaches. Tension. Discomfort in your jaw and around your neck. When you’re in pain, it makes doing the everyday tasks difficult or nearly impossible. But thanks to breakthroughs and medical success with Botox therapy, you can be free from pain and preventive medications. Dr. Yant is specially trained to administer this effective and fast-acting treatment to help you feel better with the 24-relief you’ve been searching for. Your TMJ is deeply connected to surrounding muscles, tissues, and bones spanning from your neck to your entire head. Botox injections can be used alone or as part of a larger TMJ pain treatment plan. Some patients see success with wearing a bite guard at night, while other patients find Botox provides them long-lasting relief through muscle relaxation. This helps to stop clenching and the grinding that can accompany TMJ pain or TMJ disorder. The American Migraine Foundation estimates 36 million American experience severe, debilitating migraine pain on a regular basis. Does this sound like you? Botox is FDA-approved for patients who experience 15 or more headaches a month and Dr. Yant is pleased to offer this safe, effective treatment in the comfort of his office alongside the team you trust. Botox prevents headaches and migraines from occurring, so you can get back to living a life that’s free from pain and aggravation. Botox is probably commonly known for its effectiveness at eliminating wrinkles and restoring a more smooth, youthful look to your skin. Dr. Yant has advanced training in the art of facial esthetics and can properly administer small injections to fill in creases and make you look younger in a matter of minutes. You’ll see the full, transformative effects in a matter of 7-10 days. These results can last up to six months, so you can feel free to schedule your Botox treatment along with your routine cleanings. Get smooth skin, a healthy smile, and a confidence boost all in the privacy and comfort of our friendly office. Botox treatment has been used safely and effectively by physicians and dentists for over 20 years, following FDA approval. By relaxing muscular tissue where wrinkles commonly form (your forehead, around the eyes, around the mouth, etc. ), Dr. Yant can help erase facial pain, migraines, TMJ symptoms, along with wrinkles and fine lines. You can expect diminished pain, a smoother skin surface and results that generally last anywhere from 4 to 6 months. 2) Why should I get Botox from my dentist? If you’re searching for facial pain relief, a solution for your TMJ symptoms or a little age-defying help, who better to trust than a doctor that has extensive experience with facial esthetics and in-depth knowledge of facial muscles. As a dentist, Dr. Yant is specially-trained to enhance your smile and adjust your delicate facial composition. Consider it an added benefit compared to your regular physician. He’s also board-certified and skilled a safely administering proven, age-defying cosmetic and pain-relief treatments to patients like you. 3) Are There Side Effects From Botox or Dermalfiller Treatment? Our injection options are relatively pain-free, with any side effects you may experience being mild and minimal. Sometimes there’s redness and minor swelling around the injection site, but any discomfort will subside within an hour or two. Treatment generally only takes about 10 to 20 minutes with zero downtime. 4) How Do I Know if Botox or Dermalfillers Are Right For Me? Dr. Yant will meet with you to discuss what results you’re hoping to achieve before recommending what type of injectable therapy will help you feel and look fantastic. It depends on the location of your pain or imperfections that you’d like to erase. We are happy to discuss your concerns and develop a plan to help you achieve your ideal results. 5) How Much Does Treatment Cost? The cost for your muscle-relaxing, rejuvenating therapy will vary depending on how much of the product you need to get your desired results. The cost includes the price of the product and also the skill, expertise, and knowledge of Dr. Yant and his talented team of dental professionals. Call today for a consultation to learn how Botox and Facial Esthetics can help you feel better…and look younger!